Plan to attend our Volunteer Orientation Session the second Tuesday of the month at 10am in the boardroom at QHC Prince Edward County Memorial Hospital. RSVP required. Click here for the Volunteer Checklist - outlining what you need to do to become a volunteer! 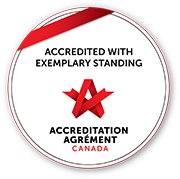 The volunteer services offered by the Auxiliary at Prince Edward County Memorial Hospital include positions within the hospital, events, community partnerships and retail operations. Click on the "In the Hospital" photo to find out the various volunteer positions available at Quinte Health Care, Prince Edward County Memorial. Click on "Fundraising" photo to discover opportunities to help raise much needed funds for the hospital. 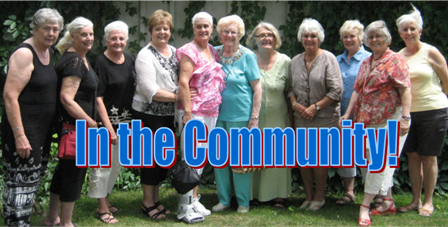 Click on "In the Community" photo to read about getting involved with the community partnerships of the PECMH Auxiliary. To get a head-start - click here for the application form. You can print it, fill it out and bring it with you to the orientation! Click here to view QHC's In-Hospital Volunteer Orientation Video (13 minutes long). Click here for the review form needed for completion while watching the video.